My friend Sam (on the left) shared this touching story on his Facebook profile. I just had to share it because it is so amazing! 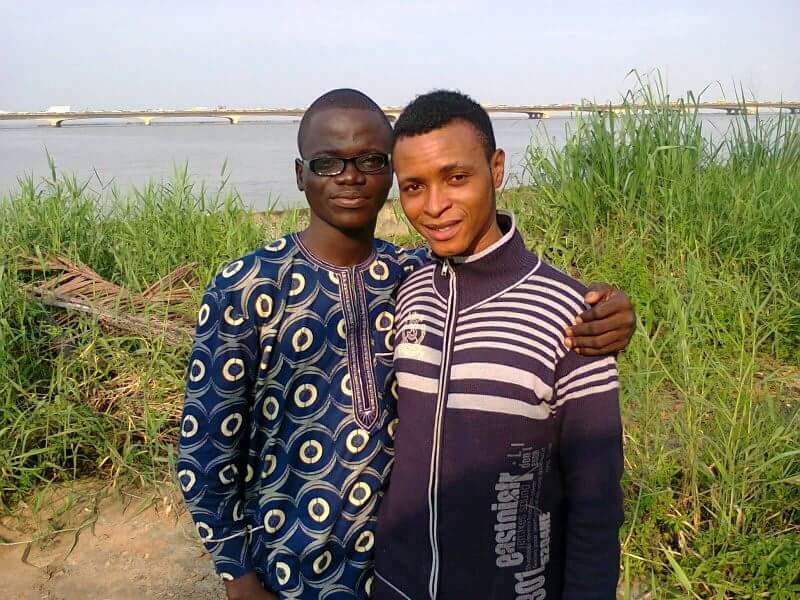 The light-in-complexion guy to the right was my very intimate friend and brother-in-Christ when I was in Lagos, Nigeria (We took these pictures together some years back in Nigeria). He graduated college and he took a cab from Lagos to Kogi state in Nigeria to do His NYSC ( National Youth Service Corps). Which is a one year program that is mandatory for every fresh college graduate in Nigeria. In the process of this program, the graduates are called CORPERS. Unfortunately, the journey appeared to be longer than expected. Then, my friend asked the driver when they would arrive at their destination. The driver kept on saying: "We will soon get there." After some time, the driver drove them into a bush very late at night. 2 men with guns forcefully led them into a place where others have been kidnapped. ((My friend + 2 other guys + 1 lady were kidnapped in the cab)). To shorten the long story, they were many in that place. They shaved the hair of other people and they searched them but not my friend. They didn't remember to take his phone from him. So, he was texting his pastor, family, and friends to pray for him. He saw others being beheaded...but he kept praying and singing worship songs. They told him to keep quiet, but he disobeyed (Holy disobedience). They said they would shoot him dead, but he didn't care. I know my friend to be a man of strong faith. Later on, the head of the kidnappers asked his associates: "How many CORPERS are here?" They responded: "Just 2 of them." The man said, "Release them and let them go." Miraculously, my friend was one of the corpers that were released. It happened just last month, but he told me this afternoon when we reconnected. Have all the fine girls joined gang?